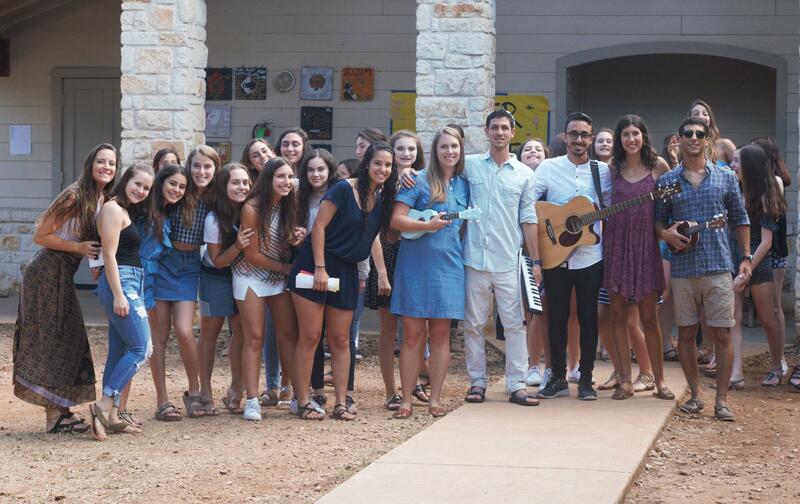 As a pluralist camp, CYJ-Texas is invested in making camp available to the whole Jewish family. To that end, we make efforts to accommodate campers with more traditional customs. We are home to the largest kosher kitchen in the southwest with two separate kitchens (milk and meat) and all kosher products. We say Hamotzi and Birkat Hamazon at each meal and require all male campers and staff to wear head coverings during meals and services. On Shabbat, we don't use electricity, write letters, or do art work. All campers will be expected to participate in our daily morning prayers, our Shabbat practices, and our activities with educational Jewish components. In classic CYJ fashion, these programs will all remain fun, interactive, and accessible to all. Each group has it's own Jewish theme and educational activities which are so fun, the campers don't even know they're learning! The Shabbat schedule is different from the rest of the week and is a time that everyone looks forward to. Friday night, the whole camp dresses up in their nicest "camp clothes" (sun dresses or skirts and tops for girls and a nicer shirt and shorts or pants/jeans for the boys) and we have a wonderful Shabbat service together as a camp community followed by dinner complete with chicken soup, potatoes and chicken. On Shabbat, all campers can sit wherever they'd like at meals so that they can enjoy their weekend with a friend from another group, a sibling, or a cousin. Saturday we offer a variety of different services for our campers to enjoy including more experiential services like yoga or a nature walk, plus children's service (for the youngest age groups), egalitarian services (traditional YJ service) and an Orthodox minyan. We’ve made deliberate choices in our programming to make everyone feel comfortable and supported. Despite this, everyone will end up doing something they’re not used to because no one’s Jewish life is identical at home and at camp. We think that’s great! We love when our campers try new things and we support putting the unity of our family above our differences. It’s one of the many things that makes CYJ an awesome place to grow and connect!